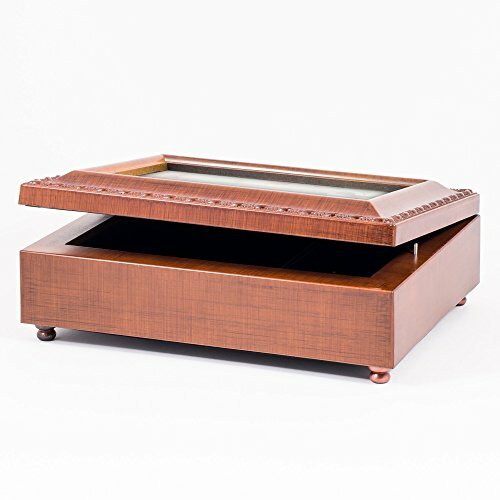 Gorgeous, elegant and attractive, this finely designed musical box is by far one of the best ways in which you could present and store all sorts of items of jewelry, anywhere you want! 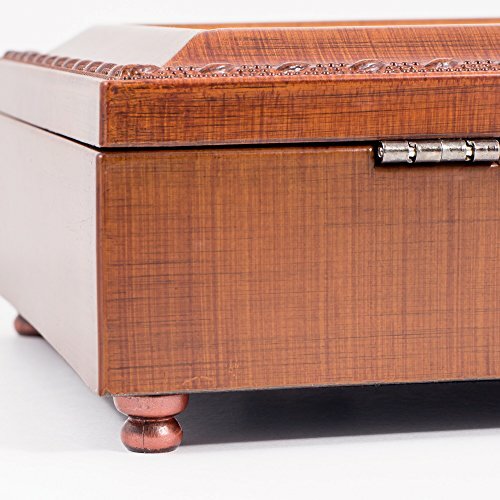 The box was constructed out of fine and sturdy wood and it’s got a rich brown color that will definitely stand out! 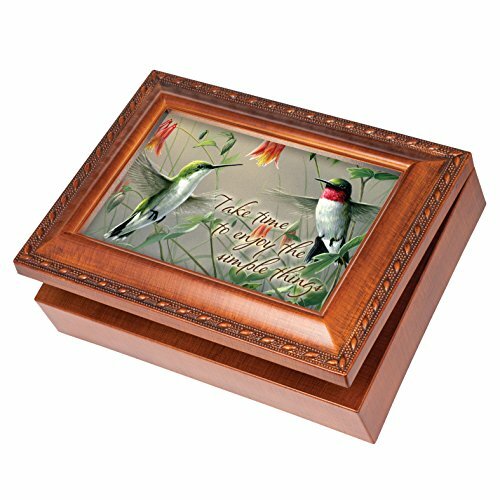 It is carefully crafted and the lid features an impressive hummingbirds picture for a more adorable and remarkable look; however, you can also choose to replace the picture with one of your choosing just as well! 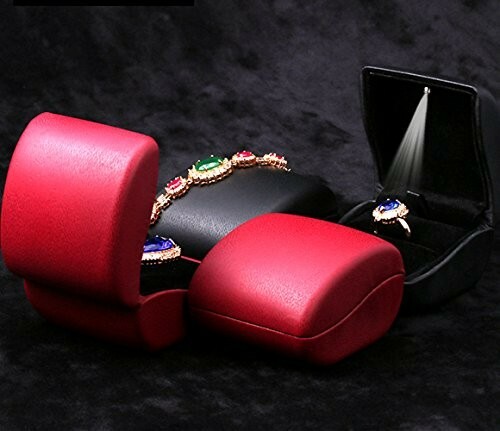 The interior is cushioned with a soft and silky black colored velvet lining that will offer your jewelry a safer and more secure storage too. 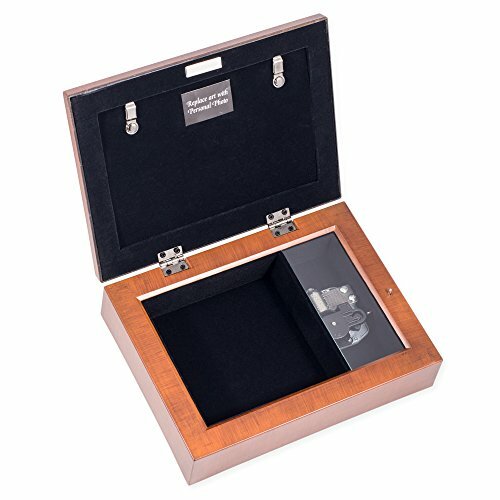 There is enough space for accommodating all sorts of jewelry, from earrings and rings to necklaces, bracelets and so on and so forth. 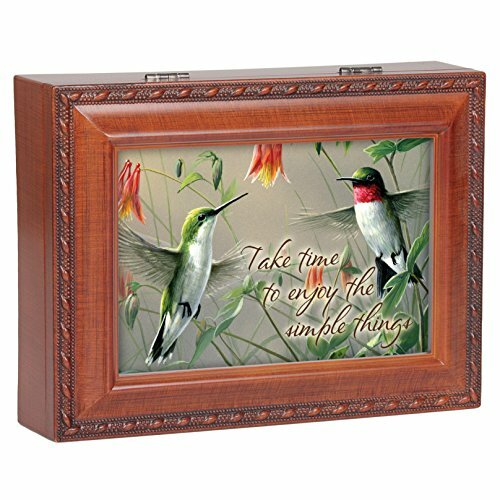 In addition to all of that, the box can also play the wonderful song “You are my sunshine” which makes it even more attractive. 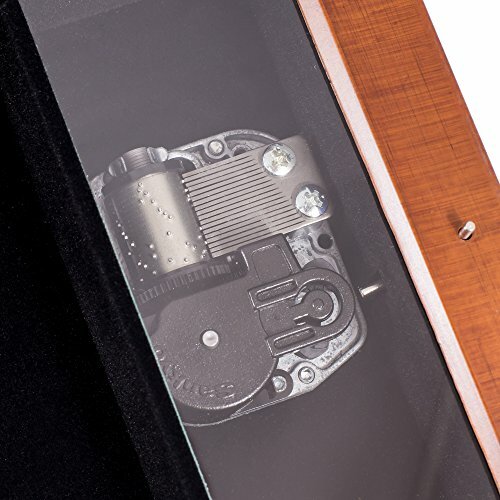 It’s got a sturdy build and an efficient and intelligent design that will certainly prove to be very satisfactory. 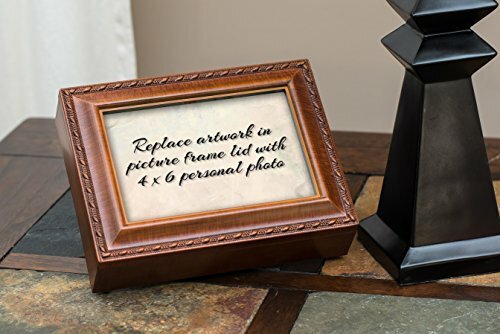 It is stylish, elegant and fashionable and it will definitely provide a most professional display of all sorts of items of jewelry, both in your own home and in any retail shop just as well, so we strongly suggest that you get one as soon as possible! 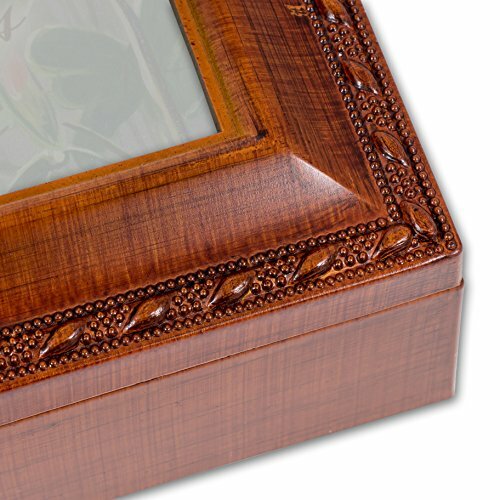 The measurements of this jewelry box are the following: 6 x 8 x 2.5 inches and its weight is 1.5 pounds.